The Festival was designed to celebrate Birkbeck’s positive contribution to the local and global societies, its exceptional international reach, and its rich and diverse cultures. Last week Birkbeck celebrated its first One World Festival, with hundreds of students and members of the local community joining the events taking place throughout the week. The attendees came from over 68 countries for over a dozen events, including a potluck picnic, with food and games on Gordon Square in which students were encouraged to bring a dish from their home country; a tea party in the Library; a sold-out performance from feminist Greek chorus cabaret, “Myth Independent” by the Constellations Theatre Company and “Around the World in 45 Minutes” by the Dionysus Ensemble; a number of academic lectures, public awareness workshops and discussions; and a historic walk around Bloomsbury, led by Birkbeck historian Mike Berlin. The Students’ Union also relaunched their magazine, the Lamp & Owl, at a drinks reception. The new edition of the magazine focused on the rich internationalism of Birkbeck, and included a welcome message from Professor David Latchman, Master of Birkbeck. 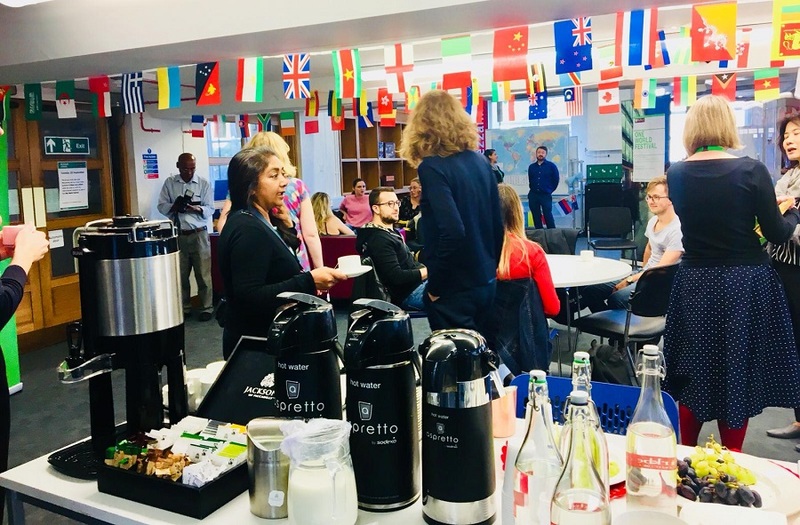 New and returning international students at Birkbeck are now invited for a morning tea with Professor Latchman on 16 October 2018 at the Keynes Library, School of Arts.